North America's freshwater habitats and the extraordinary biodiversity they contain are facing unprecedented threats from a range of sources, including flow alteration, habitat fragmentation, introduced species, and overall land use changes. With nearly every freshwater system suffering from some degree of degradation and conservation resources limited, there is an urgent and practical need to set priorities. In addition, it offers appendixes that provide detailed descriptions of methodologies, raw scores and statistical analysis of results, and an integrated biological distinctiveness and conservation status index. Also included are 21 full-color maps. 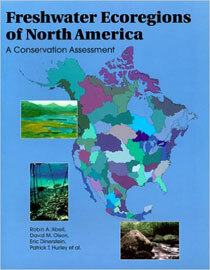 Freshwater Ecoregions of North America is an authoritative reference on a subject of vital importance, and will be an essential tool for scientists, conservation professionals, students, and anyone interested in the conservation of North America's freshwater systems.